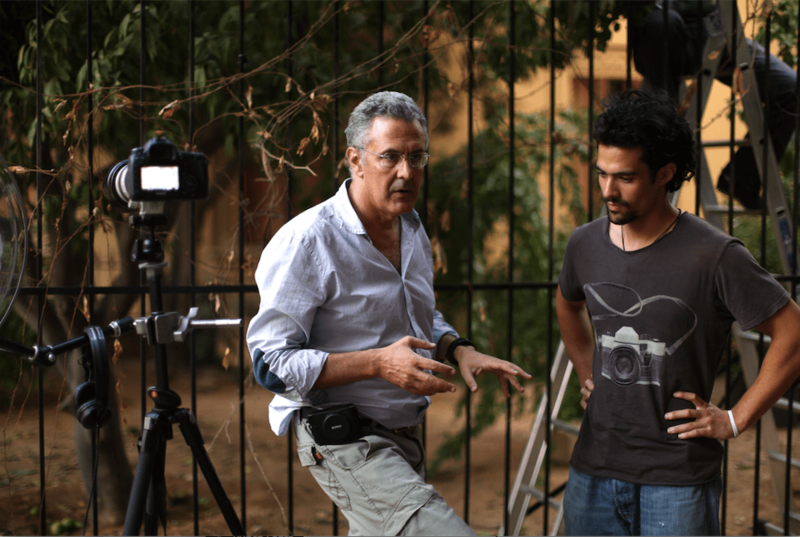 Philippe Aractingi, mostly famed for his war-related movies like the critically acclaimed “Bosta” (2005), its follow-up “Under the Bombs” (2007) and his biopic “Heritages” (2013), has offered his fans the exquisite fruit of two years of labor. “Listen (Ismaii)” is a masterfully crafted, delightful piece of art that is co-written, co-produced and directed by the French-Lebanese filmmaker. The movie is a multilayered pleasure to the senses. Every one of its elements plays its role perfectly, from the narrative, to the cinematography and, most importantly, the sound design. The result is a wonderfully shaped, realistic piece of fiction, fueled by romanticism, sensuality and authenticity. “Listen” is, above all, a love story set in Lebanon in which three characters find themselves entwined. Joud, played by Hadi Bou Ayache, is a sound engineer with a knack for deciphering noise and extracting beautiful sounds that aren’t often noticeable. Hardworking, idealistic, a little shy and refreshingly genuine, he is a young man who lives for the moment. His love interest, Rana, played by Ruba Zaarour, is a sparkly and attractive model who enjoys the city’s fast tempo and knows how to dance to it without much inhibition. Extroverted, assertive and straightforward, her individuality contrasts beautifully with Joud’s. After meeting at a film shoot, a contemporary courtship begins. One filled with moments of sharing, discovery and passion. However, their romance is abruptly paused by a stroke of fate, which leads to Joud asking Rana’s sister, Marwa, played by Yara Bou Nassar, for her help in his attempt to bring his lover back to him. Quite opposite to the character of her sister, she is a poised university lecturer who is about to get married to a British man she had been dating. Her character blossoms as the film progresses; her sensuality and femininity manifest themselves unexpectedly while Rana’s presence diminishes. Similar to how the moon can only be appreciated when the sun sets. While Bou Ayache, Zaarour and Bou Nassar deliver strong performances that serve the storyline, which is far from being the chief component in this film. What makes “Listen (Ismaii)” exceptionally deserving of praise is actually the artful orchestration of the remaining components of the film that tastefully enhance the narrative. The film’s interesting frames, points of view and camera movements offer viewers the intimacy to better relate to the protagonists. The shots around Lebanon, from the grand views of the mountains to simple glimpses at street vendors, are an homage to our precious land and create room for contemplation and appreciation for the diversity of Lebanon’s scenery. Meanwhile, the editing succeeds in setting the perfect pace relative to the state of mind of the characters, in harmony with their emotions and the film’s action. It also shapes a nonlinear story that takes the spectator on a smooth voyage made up of flashbacks, unveiling significant moments that defined the relationship. Yet, the ingredient that welds it all together and forges the true essence of the film is undeniably the sound design. We have the tendency to take for granted what an incredible thing it is to be able to hear, and the movie truly reminds you to “Listen”. As viewers borrow Joud’s ears, we enter an exceptional universe governed by sound and enriched with melodies. Amid all the beautiful sounds in this film, from the city’s pulse to nature’s wonder, the most enjoyable sound is the human voice – more precisely the woman’s voice. It won’t take long before the viewer sees the emphasis given to her, especially her liberal side, the one that yearns for autonomy, self-expression, and sexual satisfaction. Even though the movie doesn’t shy away from controversial scenes, it does so not with the aim to provoke, but to emulate a reality. As the closing credits appear on the dark screen, after a surprising and sudden ending, one cannot but feel a surge of admiration and pride, as any Lebanese who appreciates the seventh art would. Go, watch, and listen.